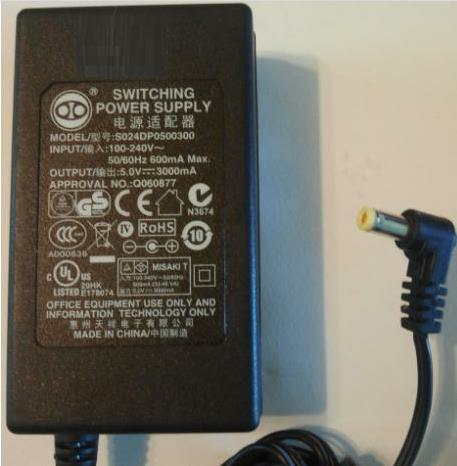 Power adapter: Maximum Rating 5V DC @ 3A, yellow Plug. P/N 21-00053 Model ; S024DP0500300. Figure 8 plug required.